Since the beginnings of Christianity, there has been a fundamental tension between faith and theology. 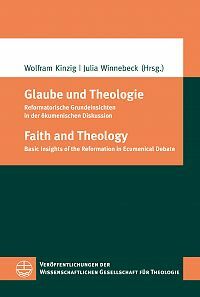 The Reformation, with its principle of sola fide on the one hand and its institutionalisation of a scripture-based academic theology on the other hand, drew particular attention to the tension and suggested new answers to that problem. That effort contributed to a fundamental transformation of academic theology within the faculties of Protestant Theology which emerged as a result of the movement. In the past decades, however, academic theology has come under considerable pressure. In much of Europe and North America, the process of secularization has led to a massive decline in religious education and – partially as a reaction to this – to a trivialization of academic theology. At the same time, one can observe a global proliferation of evangelical and Pentecostal groups. These groups sometimes display a certain indifference towards academic theological training, or even reject it altogether. 54,00 EUR (inkl. 7 % MWSt. zzgl.